Last week was a bit odd. Some good bits, some bad bits, some really unexpected bits. I wasn’t stupidly busy which was a nice change and actually took some time to catch up on sleep and just be. Let’s just crack on with the moments that perked me up, shall we? 1) I went and caught up with lovely Katy for dinner at Mango Tree in Harrods. We at curry from a pineapple and nattered away making plans for a big trip to Japan next year. Much excitement! 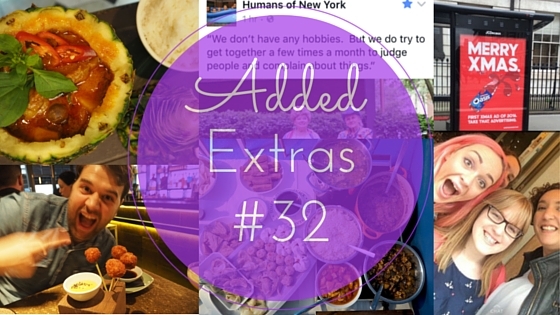 2) I had a four hour breakfast with one of my best friends at the weekend. We drove into the only nice area of Milton Keynes, a little village called Stony Stratford, and hopped between seats in the sun and seat under shelter as the rain came and went as it pleased. 3) I rejoined the gym, finally. I’m trying out Pure Gym because it is super cheap, and actually the two classes I’ve done have been pretty good. 4) My extended family came over on Sunday for a little slideshow of pics from my big trip and my mum took it upon herself to make a dish from every country I went to. It was a FEAST! We had laksa, dim sum, spicy aubergine and tofu, lamingtons and pavlova. Plus I made a beef rendang and bought a load of pineapple buns from Chinatown. And we necked a load of Singapore Slings. Such winning. 5) I read this article defining ‘high functioning anxiety‘ and it was like a lightbulb switching on in my head. I identify with this so much. 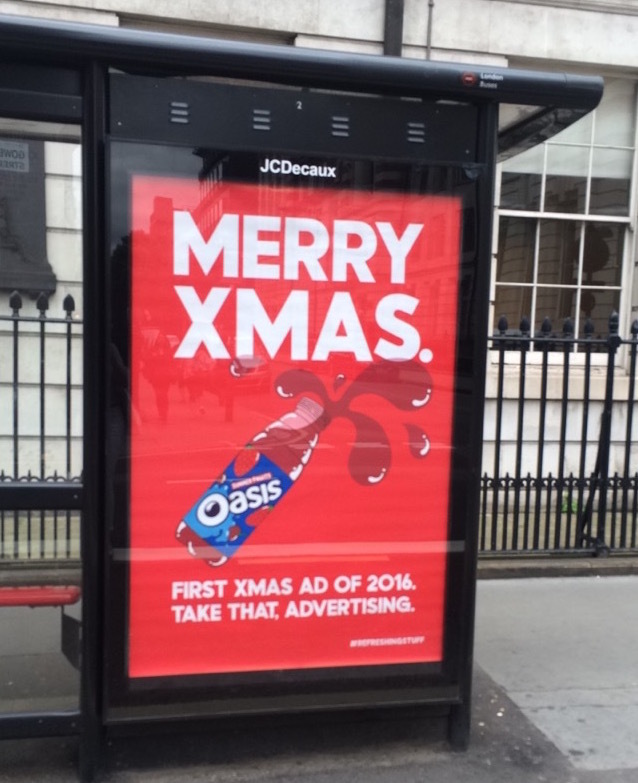 6) This ad from Oasis made me giggle when I spotted it near UCL yesterday. 7) My lovely friend Simon took me for lunch at Jinjuu on Kingly Street and we had a good old natter. The food was great; especially the prawn pops and spicy mayo. The service was super slow though so I had to run off and take my dessert back to work with me! 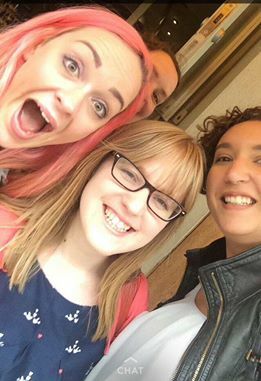 8) Wonderful Miss Pond was in London for the day, so I smashed some tacos and margaritas at Wahaca over lunch with her, Erica and Claire. Always nice to break up the working day with some of my favourites. 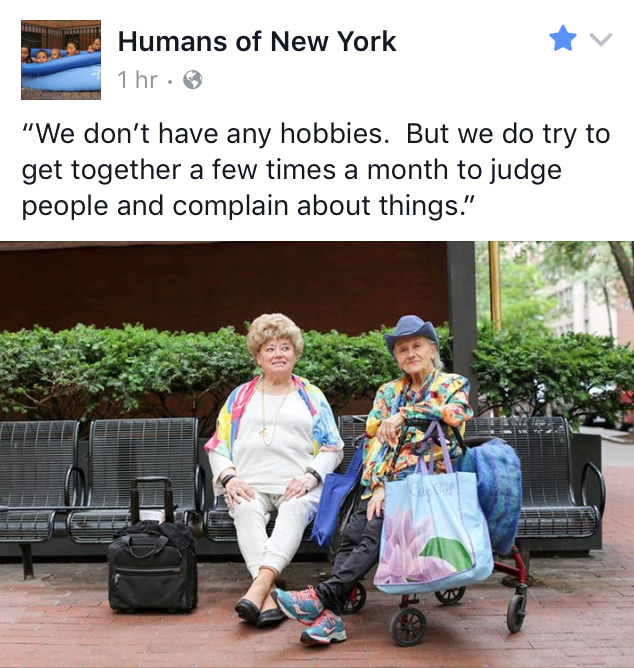 9) This Humans of New York post sums up every friendship I have. 10) I’m pitching up at my parents whilst I settle back into life in the UK, but I miss London. To make it a bit more bearable, I’m now on my mum’s car insurance so I can actually get out of the house and meet friends or go to the gym. Very important for my mental state!